I absolutely love the splendor of the Golden Gate Bridge, the sense of freedom it makes you feel, the vibrant nature that surrounds it. No wonder my first post is about her! Opened in 1937, The Golden Gate Bridge is a three mile long (4.8 km) crossing that links San Francisco Bay and Marin County across the Pacific Ocean. The bridge is without a doubt the most recognized symbol of San Francisco, and possibly the most photographed bridge in the world. As such, there are tons of viewpoints and photographic angles that you can try and have a peak of the bridge. Having lived in the Bay area for almost 5 years now, I’ve crossed and visited the Golden Gate Bridge several times, by cycling, by walking, and by car. I’ve tried out many possible angles, including from Crissy Field, from Baker beach, from Lands End, and from the visitor center where the majority of the tourists stop. My favorite spot, however, is from a hidden gem that I recently discovered. 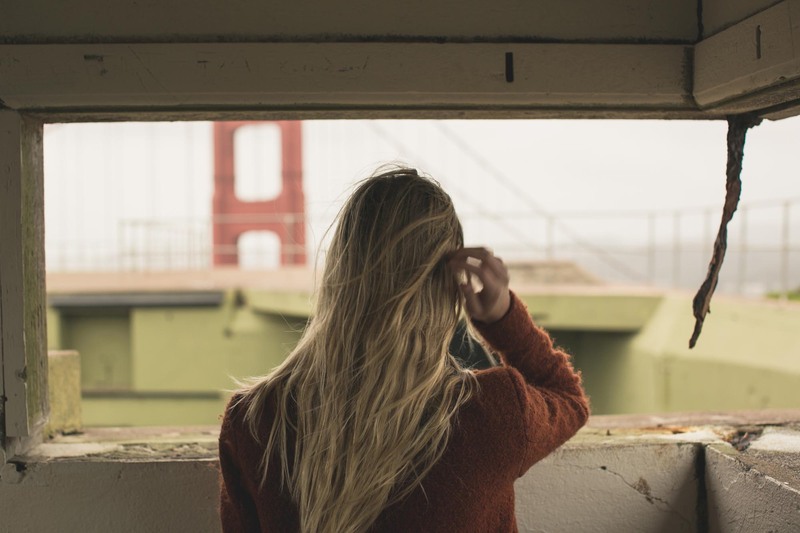 If you want to get a stunning photo of San Francisco Bay and its iconic portal, head to Battery Spencer lookout point on the north side of the Golden Gate Bridge. 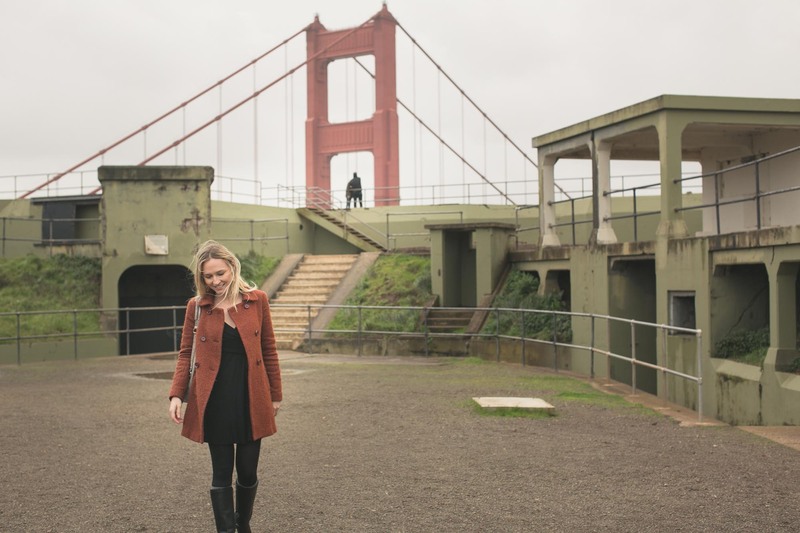 There are breathtaking vistas of the famous bridge in the foreground, San Francisco is the backdrop, and along with a series of historic seacoast fortifications, there are jaw-dropping views of the Pacific coastline. You can easily spend quite some time here, and you for sure will have a terrific photograph. As you cross the bridge, on the side of Sausalito, head towards Marin Headlands. Battery Spencer is the first lookout point of the Marin Headlands. The place offers a very small parking space, but with a little patience, you can get a spot. Believe me, it’s worth the wait! 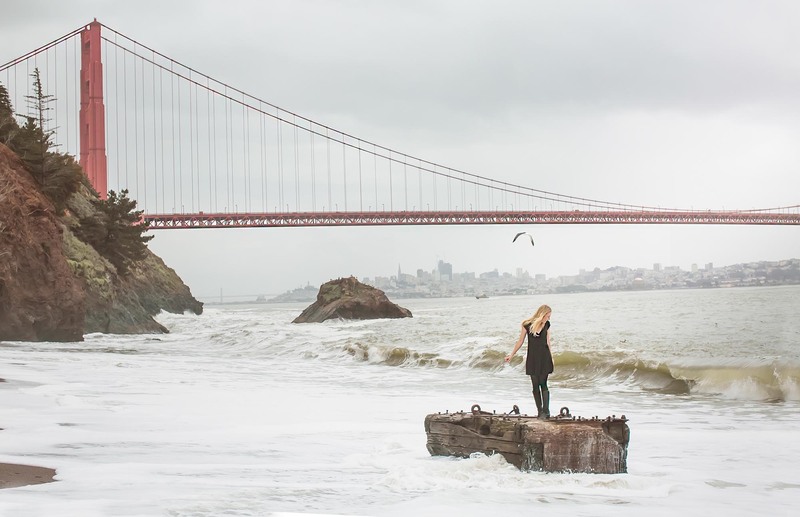 See how to get to Battery Spencer via San Francisco here. Don’t forget there is a bridge toll of $7.50 when crossing the bridge. Click here for more information about toll payment options. I hope you have saved some space on your camera as there is more to come, Kirby Cove Beach. Kirby Cove beach is next to Battery Spencer, and since you are already here, you might as well visit the beach. And better yet, the beach has a swing! 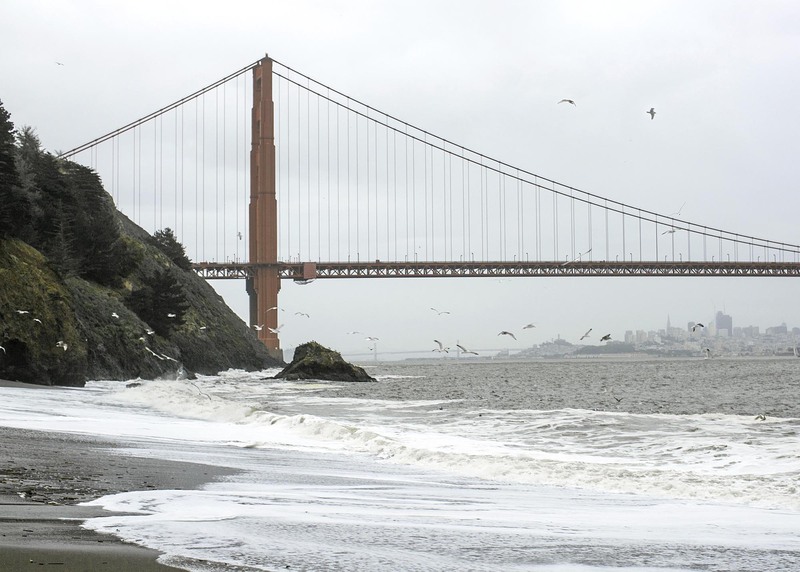 From Battery Spencer parking lot, Kirby Cove Beach is easily accessible and only a 1.8 miles walk. View map. 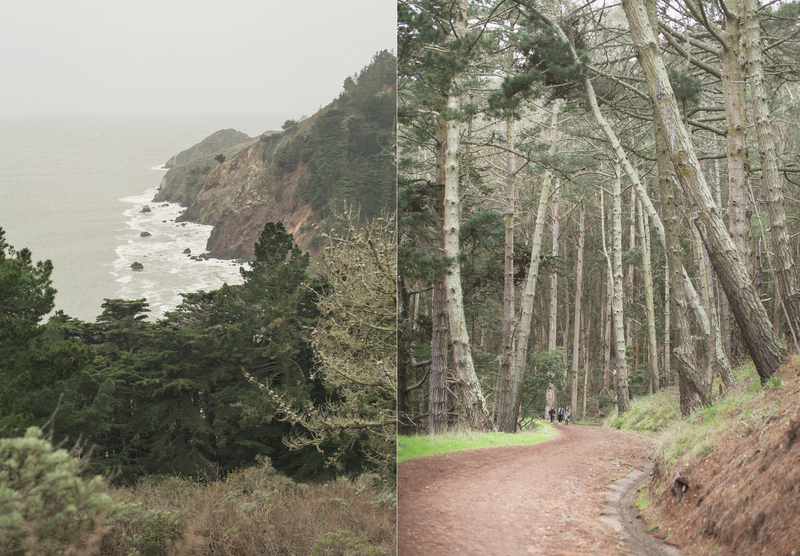 The descending path is wide, and an easy/moderate short walk across open grasslands, wildflowers, cypress and eucalyptus trees, with scenic views of the Pacific coast and hill sides. Please note that unfortunately the trail is not dog-friendly. If you are lucky and the weather is on your side, you will have a clear view of the bridge from here, but keep in mind that many times, a sea of fog (along with the wind) accompany the view. The place can be quite windy at times so always bring a jumper, even in the summer time. 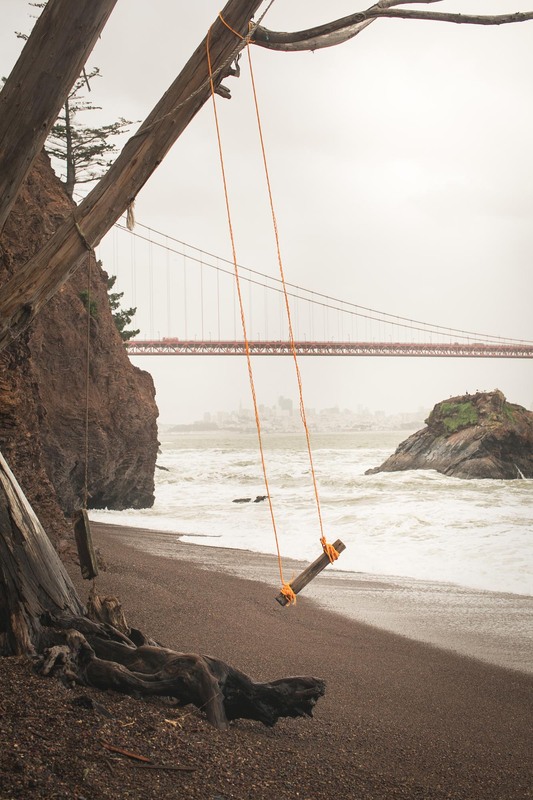 Along with often breathtaking views, Kirby Cove beach also offers something very unique, a swing. I was quite overwhelmed with excitement when I got to play with it. Plus, the fun photos that came out are definitely keepers! Another thing to mention is how surprisingly empty and quiet this place can be. On my last visit, I got the impression that this beautiful “secret” spot has not yet been discovered. Been to San Francisco? 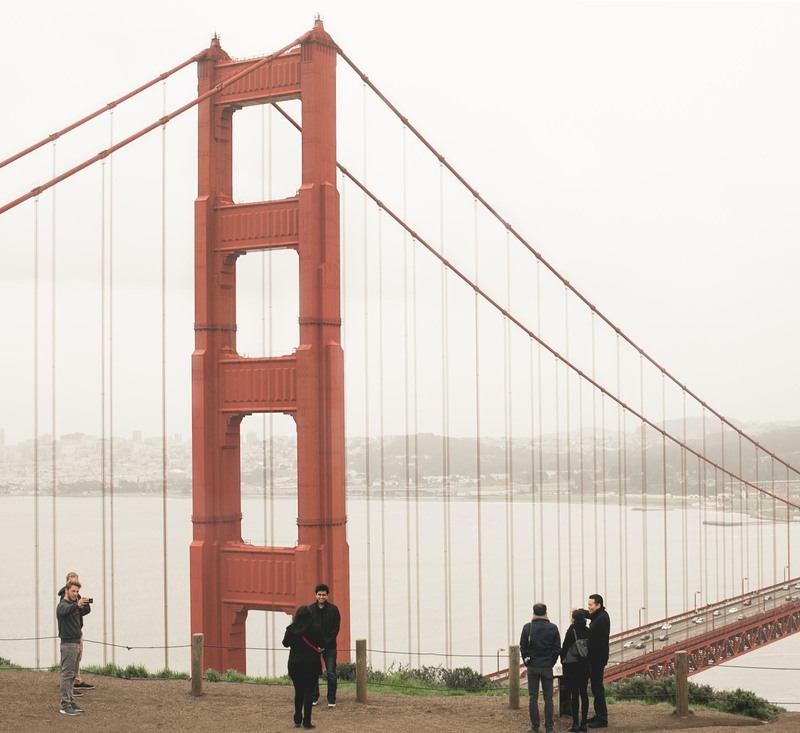 What are your favorite viewpoints of the Golden Gate Bridge? Ohhh Thank you so much Anjali 🙂 Your words mean the world to me! Hearing that you like the blog and the posts feel amazing. Once more, thank you for taking the time to leave such beautiful feedback.